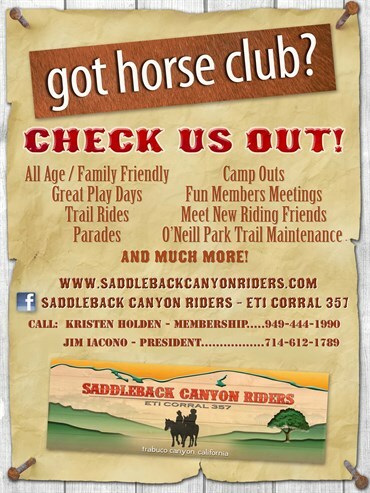 Our humble, local horse club, ETI Corral 357 — The Saddelback Canyon Riders, is a pivotal part of the equine lifestyle in Trabuco Canyon, CA. Many locals and area residents are part of the club which is fearlessly led by our President, Kristen Holden. 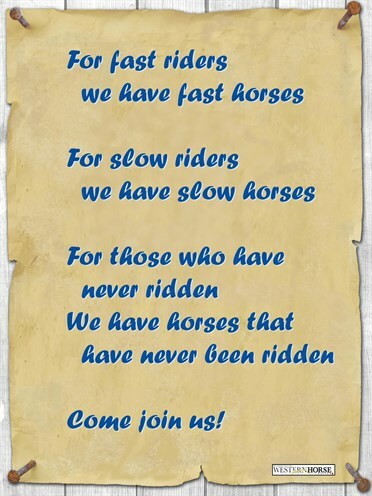 For more information about ETI 357 and the amazing things we do for our community, rural lifestyle, and equine friends, please visit, www.saddlebackcanyonriders.com. (Read our Bylaws) You can also visit us on Facebook by going to, www.eti357.com. Become a member today!